The University of Illinois at Chicago college of dentistry is a highly competitive dental school to enter. In the last year some 1640 people applied for the 66 places available. So if you are looking to apply to UIC dental school you must ensure that your application meets all UIC dental school admissions requirements as well as being superior to all of the other applicants. Going through all the procedure; preparing all the documents and letter for UIC dental school admissions is not an easy task. But with our professional UIC dental school application service help, it makes everything a lot easier. Doctor of Dental Medicine – The DMD program at UIC dentistry school deploys an innovative approach to learning. It integrates problem-solving and patient-focused clinical care initiative using modern technological tools. DMD Advanced Standing – DMD-AS as a UIC dental school programs are specifically designed for International Medical Graduates trained outside the US. The main purpose is to equip international students to fit into UIC dental school admissions and programs. On completion, students would receive the DMD degree. Ph.D. & MS in Oral Sciences – UIC runs a doctoral and master’s program in Oral Sciences. The UIC dental school for Masters and doctoral students help them develop skills in oral health administration. Doctoral students incorporate oral research, biomedical technology, and clinical care. Advanced Specialty Training Program – Upon UIC dental school admissions into the ASTP students become exposed to multi-disciplinary professional and advanced training in dentistry. Key areas of interest include: orthodontics, pediatric, maxillofacial surgery, dentistry, prosthodontics, and periodontics. For externship programs – pediatric dentistry, maxillofacial and oral surgery, and periodontics. Multi-Disciplinary Oral Science Training (MOST) – After success with UIC dental school application and into the MOST program doctoral and postdoctoral fellows get set to shape the field of dental research using technology-driven models and innovativeness for medical advancement. Students at the end emerge with dual qualifications of DMD/ Ph.D. as well as postdoctoral fellowship. All UIC dental school admissions are done through the Association of Dental Schools Application Service (AADSAS). This is service supplied by the American Dental Education Association (ADEA) and it allows you to apply electronically to your chosen dental schools using a common application rather than having to submit applications individually to each of the dental schools that you want to apply to. You can Apply from the start of June through to mid January and should upload all of your data directly within the AADSAS system. It is however recommended that you tailor items such as your dental school personal statement specifically to meet the UIC dental school admissions requirements to give yourself a better chance of success. What Are the UIC Dental School Admissions Requirements? A minimum of a grade C must have been achieved within these required courses. All applicants must also have completed their Dental Admission Test (DAT); this test will go through your natural science knowledge as well as quantitative reasoning and comprehension skills. Scored out of 30 the average score achieved by the last admission year was 20. The average DAT score of accepted students has increased every year. You will also be required to provide three letters of recommendation, two academic references of which one should be from a science professor and a third which should come from a dental professional. UIC dental school admissions place a very high value on those students who have shown commitment towards the profession by spending at least 100 hours shadowing a dental professional as well as those who have performed significant amounts of community service or volunteer work. Letter of recommendation – Each candidate for UIC dental school admissions must submit 3 letters of recommendation. The letter must be from a practicing clinician or professor. Alternatively, one letter from the health committee could be submitted. Only submit the letter of recommendation via Associated American Dental Schools Application Service (AADSAS). The letters should be submitted directly to UIC dental school sealed and not through the applicant. DAT exam score – The Dental Admissions Test is a major requirement for UIC dental school application. The test must be taken the year or two before admission. The Canadian DAT will not be accepted for UIC dental school admissions. Academic transcripts – All applicants must submit sealed copies of credentials and transcripts as part of admissions requirements. Students GPA should be 3.0 to 4.0 from mostly the sciences and baccalaureate field, BA and BS. Proof of shadowing exposure – Before applying to UIC dentistry school you must have undergone at least 100 hours of shadowing experience. It helps applicants develop skills and exposure to general practice and develop a passion for dentistry. Curriculum Vitae – The UIC dental school CV should contain details of your career objective, academic history, skills, qualities and more. It is one of the documents that guide the admissions committee in the decision-making process; therefore, it must be tailored appropriately for UIC dental school admissions. Personal statement – The personal statement should focus on the applicant’s purpose for dentistry, the area of interest and specialty. The personal statement should also capture an intriguing past experience that has shaped him or her as well influence their decision for UIC dental school programs. The essay must not exceed one or two pages. GRE Scores – DAT scores can replace GRE scores. Applicants submitting GRE must score above 50% to be considered. TOEFL or IELTS scores – For non-native English countries, applicants must pass at least 80 for TOEFL, internet-based- 60 or paper-based test of 550 scores. The IELTS score should be not less than 6.5 and PTE of 54. Get an expert help with writing your personal statement today! The first step in the UIC dental school application is a written expression of interest to: Lyndon F. Cooper, DDS, PhD, Associate Dean for Research, Department Head, Oral Biology, Room 402e, 801 S Paulina St., Chicago, IL 60612, cooperlf@uic.edu. Once completed, all applicants must apply through ADEA AADSAS by filling out an online application. Applicants need to also complete IUC graduate application online. Domestic applicants to UIC dental school can submit an application by latest may 15 against fall UIC dental school admissions while international students should submit by February 15 springtime and before the fall. After filling the form, all required documents and letters should be uploaded to the UIC dental school site. Once the UIC dental school admissions conclude their activities you would be invited to the interview stage by letter. Selection of candidates is on a first come, first serve basis. The interview runs from September to March. One of the most important parts of your UIC dental school admissions package is the personal statement. This is your only opportunity to sell yourself to the selections committee and show them how you would be the perfect fit within their program. 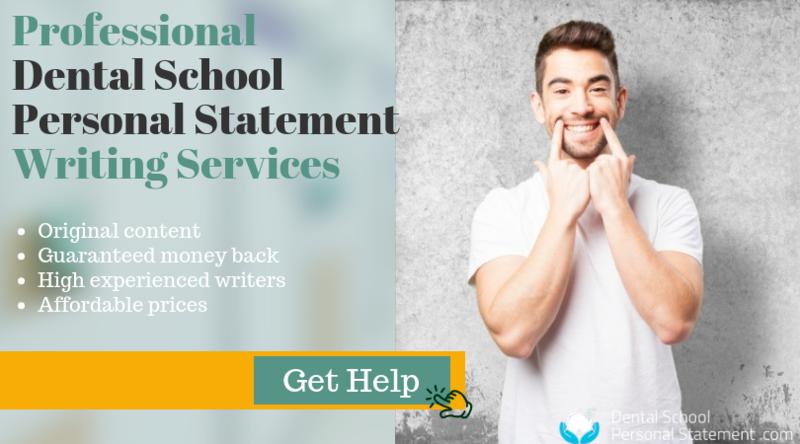 Our highly skilled personal statement writers know precisely what they are looking for and how to write your statement for UIC dental school admissions in a way that will get you noticed. Our team of professional UIC dental school programs writers will help you in crafting each letter required for securing an interview. We provide exceptional writing and editing service for your letters of recommendation, personal statement. Others include the Statement of purpose, diversity letter, scholarship essay and any other essay to increase your chances of securing an admission into UIC dental school. You can get all the advice and support you need as our professionals in dentistry and have a clear understanding of UIC dental school application processes having done this for years now. You can take advantage of our 24/7 customer support service to speak with our customer support personnel. Or order a writing service help and enjoy 100% satisfaction guarantee while we deliver fast and with efficiency. We respect your privacy and can guarantee the safety on your financial transactions with us, the privacy of information and 100% money back guarantee. Wouldn’t you rather work with the best UIC dental school admissions writing service team! 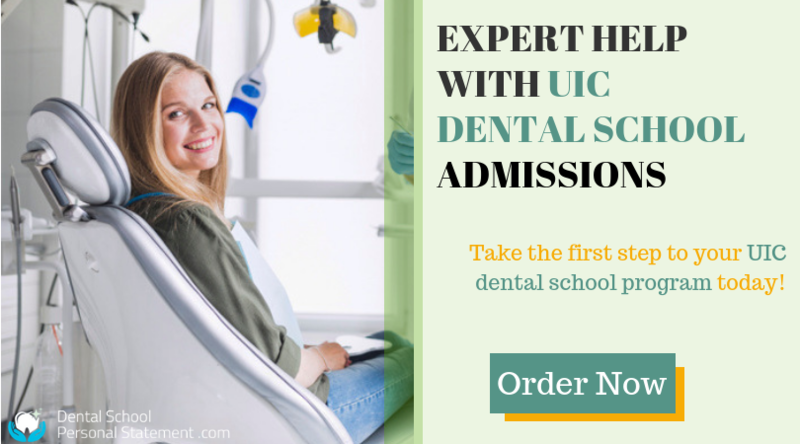 Contact us and get a professional help with UIC dental school admissions today!